Home :: 04 - KING & COUNTRY :: THE REAL WEST :: Dismounted & Trapped! 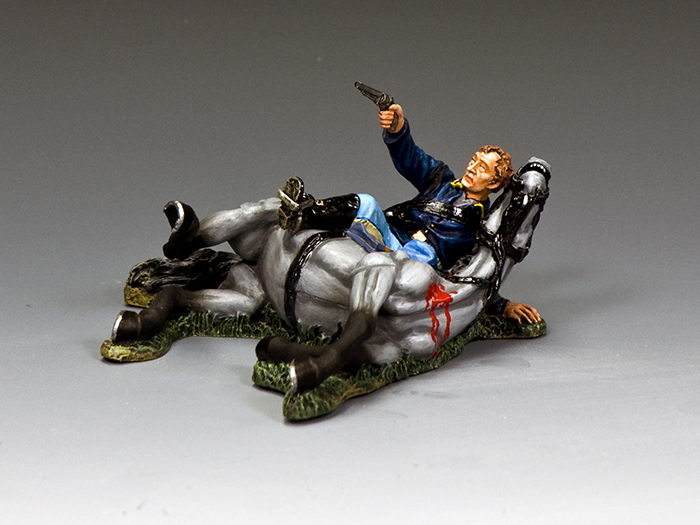 With his horse shot from under him and collapsed on top of his left leg this trooper is already doomed. Defiantly, he raises himself to aim his pistol at attacking Indians.